Figure 6-19. 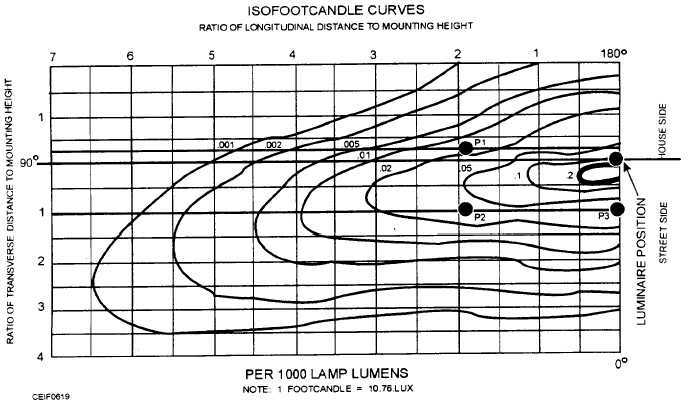 - Isofootcandle curve. 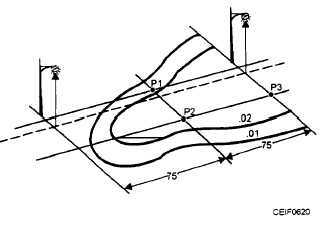 Figure 6-20. - Roadway perspective view. For lighting extended vertical surfaces, such as smoke stacks or towers, mount floodlights so distance between floodlights or groups does not exceed twice the distance from the floodlight to the illuminated surface. Use a smaller number of large floodlights instead of a larger number of smaller floodlights. The suffix letter "B" should be added to the above class designations to indicate when an integral ballast is required. Example: A heavy-duty floodlight with an integral ballast would be designated as a Class HDB floodlight.